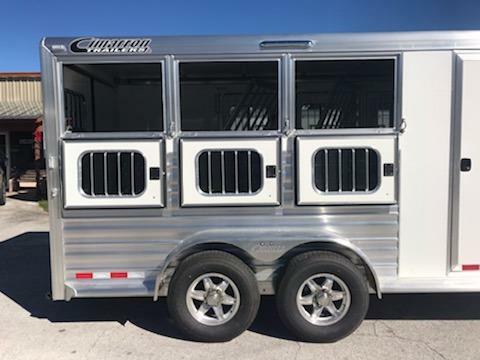 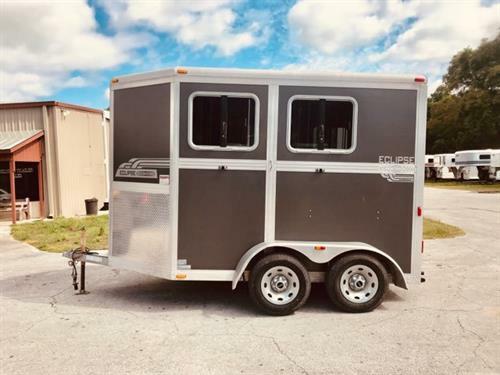 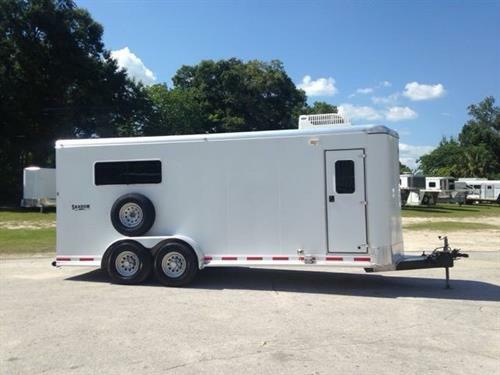 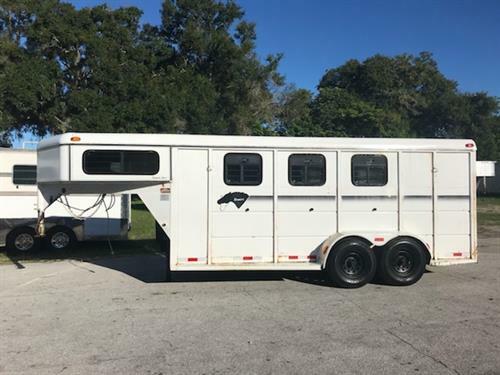 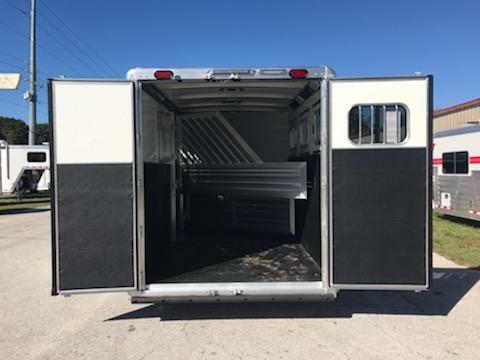 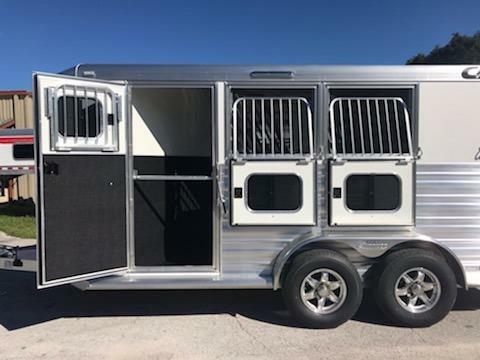 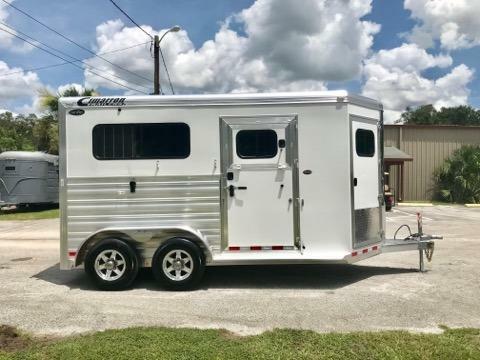 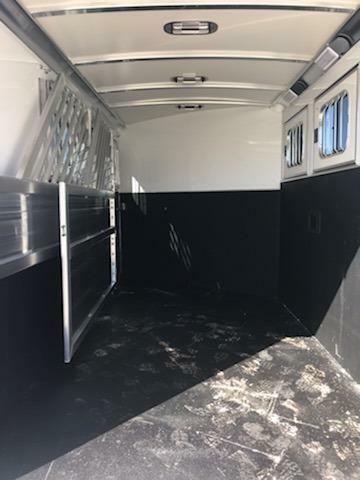 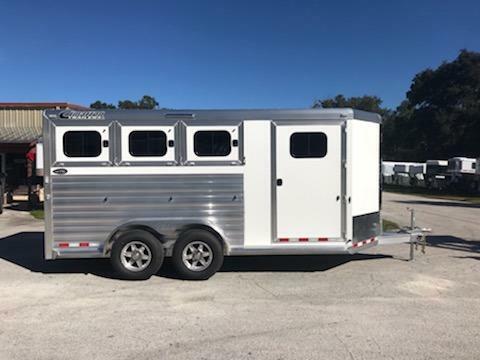 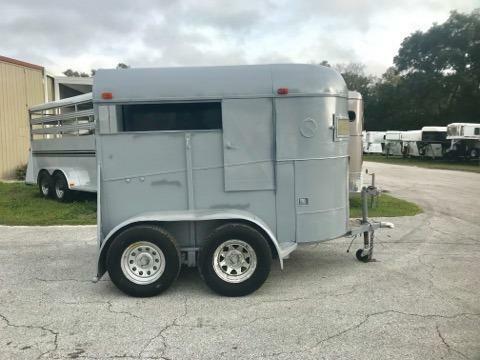 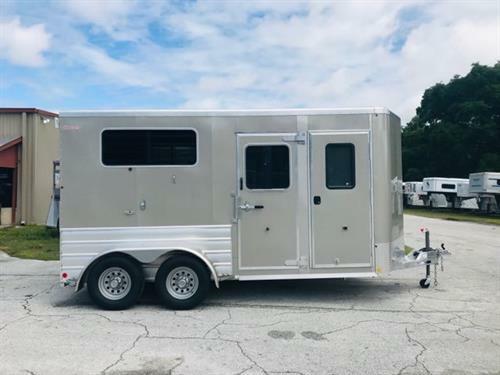 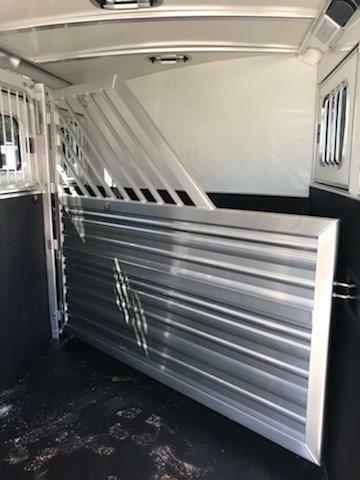 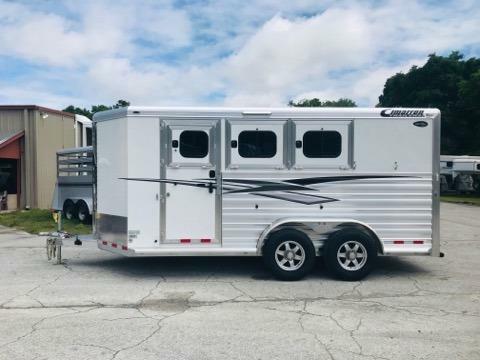 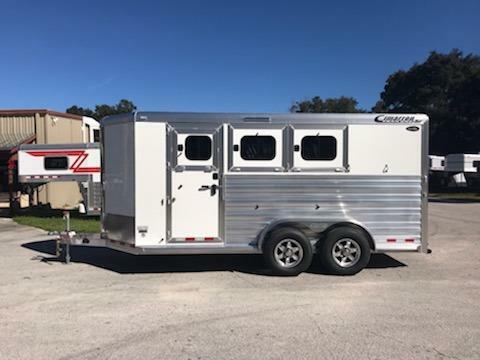 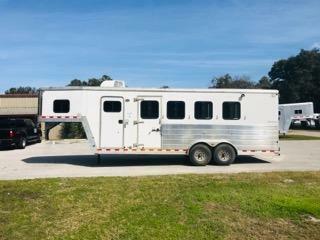 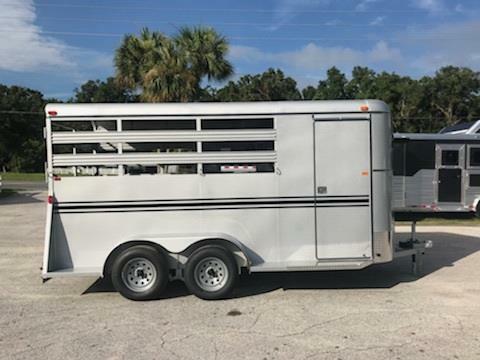 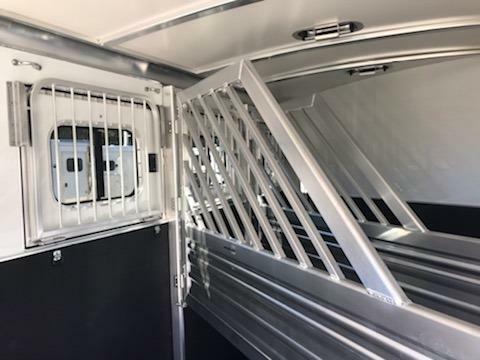 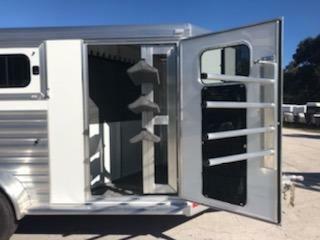 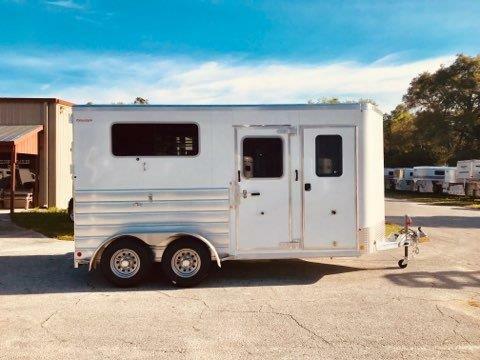 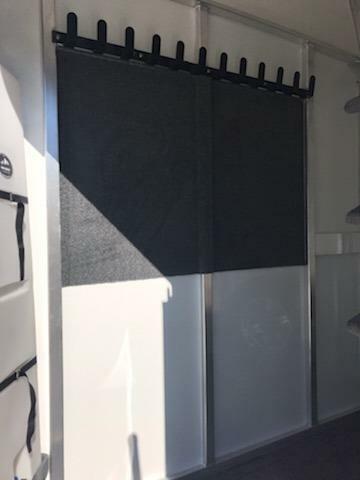 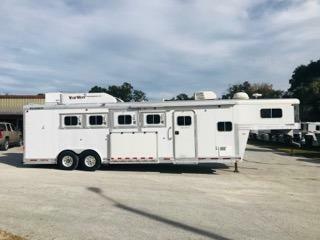 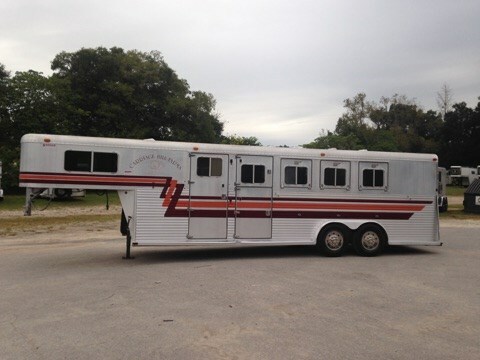 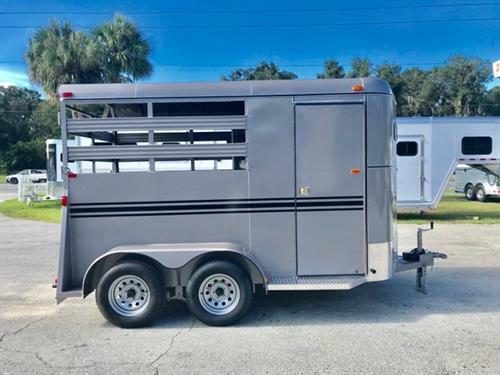 2019 Cimarron (3) horse slant load bumper pull trailer with the “Ready to Go” Package that has a swing out (3) tier saddle rack, bridle hooks, hat shelves, clothe bar, swing out blanket rack, 25 gallon water tank and a door caddy. 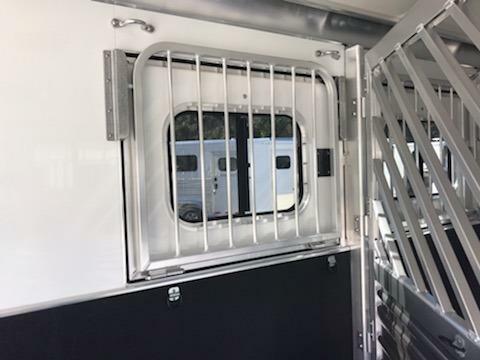 In the horse area you have an interior height of 7’ tall x 7’ wide, escape door with a drop down window and drop down aluminum bars, drop down windows at the horses heads with drop down aluminum bars, drop down windows at the horses hips, insulated roof, roof vents, all airflow dividers, rubber lined & insulated walls, rubber mats over all aluminum floor and double back rear doors with sliding bus windows! 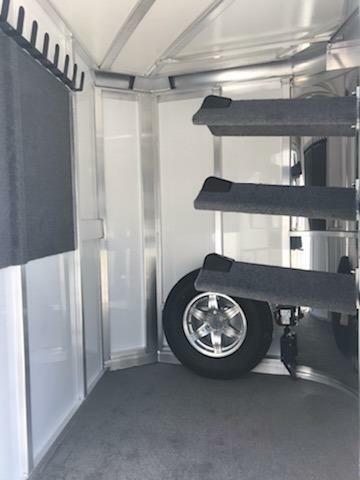 The exterior has all aluminum wheels, STRONGEST FLOORS in the business with Crossmembers Centered on 4” Centers, 8 year warranty on trailer and 2 years on trailer tires!